With just 3 buildings, 32 condos and 2 commercial units, this ensemble is pleasantly sized. Lots of greenery, including mature trees, adorns the inner courtyard, and there's naturally an underground parking garage to keep traffic to a minimum. The spaces between the buildings ensure plenty of light and a sunny ambiance. One part of the building reflects the style of the former distillery that stood here. Clinker brick walls and pointed gables are elements that withstand the passage of time and have become a symbol of future-proof residential values. There are two units for commercial purposes on the ground floor. The architecture of the ensemble is two-fold. The facades on the entry side are stately and elegant, with sliding shutters and spacious entryways as strong characteristic accents. Ambiance is the focus on the courtyard side. Abundant window panes and large patios, balconies and rooftop loggias set the tone and integrate the natural surroundings into the atmosphere of the residence. They supposedly exist: City people who prefer the pulsating city over everything else. And country people who simply can't get enough of nature and tranquility. And then there are the aficionados: Those people who enjoy a connection to nature as much as the urban rhythms of the city. What fits them best is a location that changes daily. 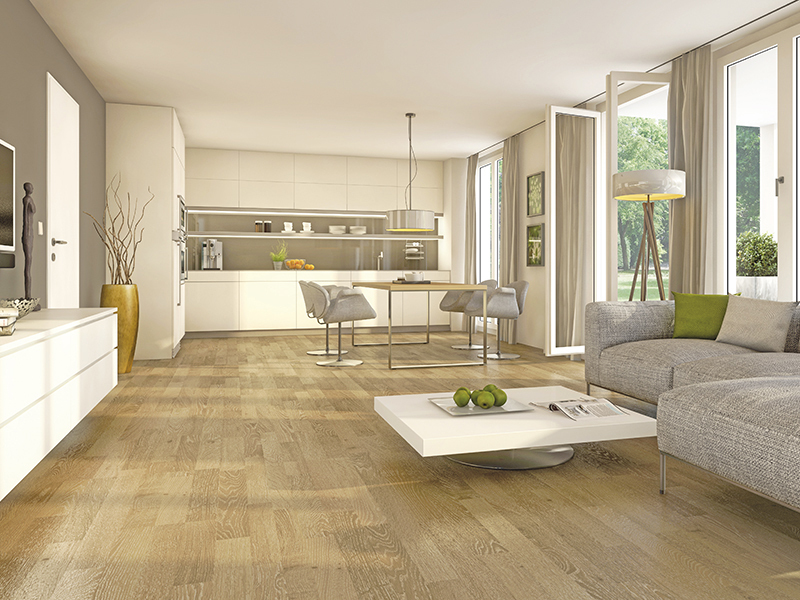 Putzbrunn is the perfect home for those who want more. 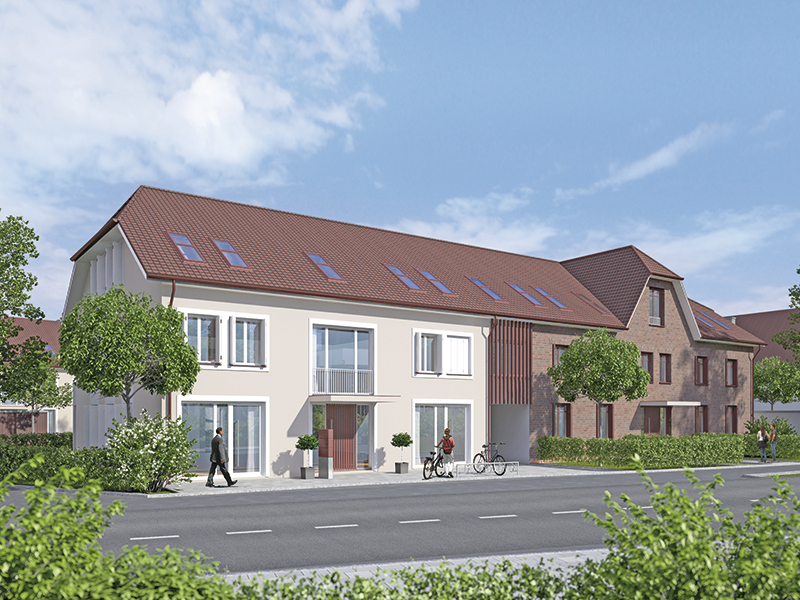 Nestled within rejuvenating nature, this friendly community is only a stone's throw away from Munich. The bus line stops right in front of the ensemble and the near connection to the A99 invites residents to go on spontaneous outings. 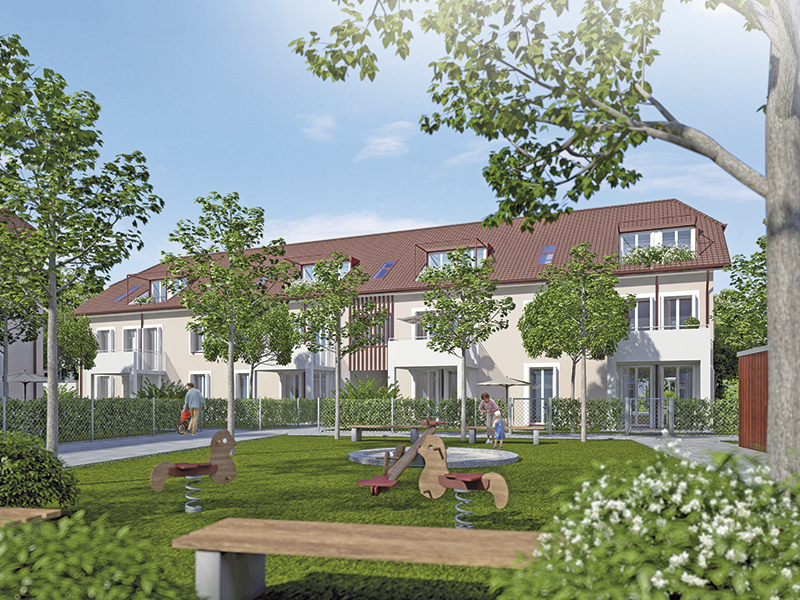 Every day Putzbrunners enjoy that good feeling of living in idyllic surroundings yet quite close to Munich and its enormous range of options for career, culture and recreation. 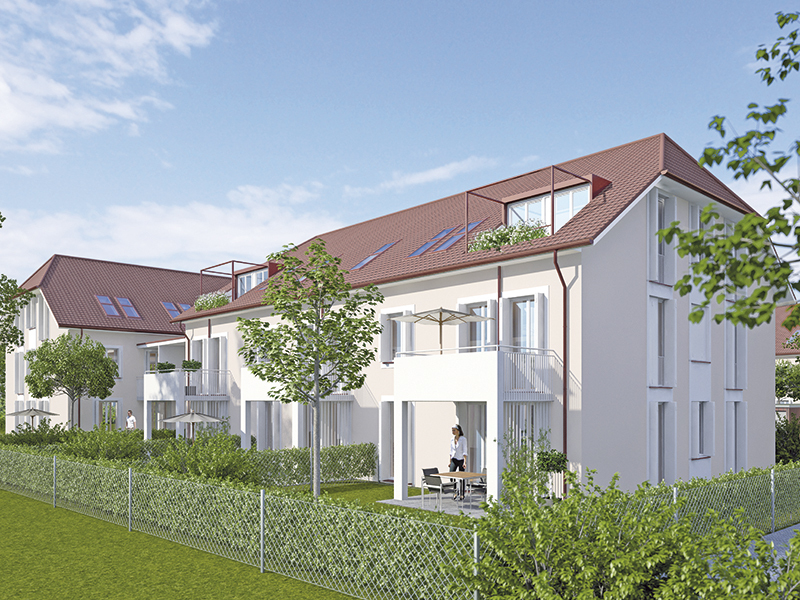 The community of Putzbrunn and its environs generate a lot of great ideas. A short excursion, for example to the Hachinger Tal landscape park, can begin right on your doorstep. You can reach the Tegernsee by car in thirty minutes. How about a walk through Riemer Park followed by a shopping trip through the shopping center “Riem Arcaden”? Enjoy any recreational activities that suit your taste!? You can reach the city by the MVV transit system in a good 30 minutes, so give your spontaneity free rein and enjoy extra trips to the city without the stress of traffic. The shorter the trip, the longer the pleasure. It's great when everything you need for the day can be quickly purchased nearby. 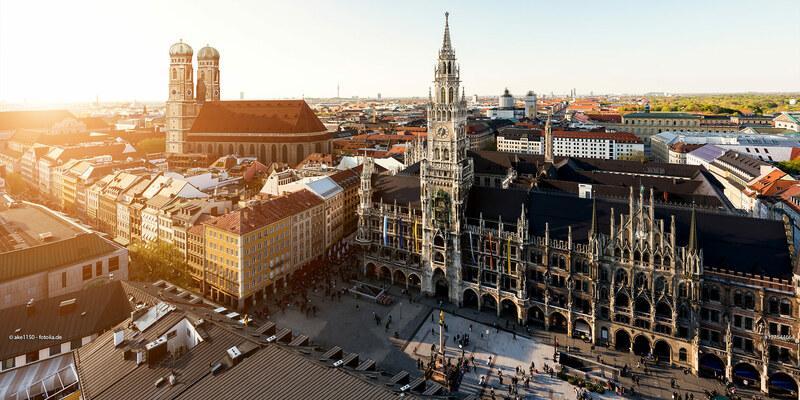 Right around the corner from the “Alte Brennerei” you'll find a small supermarket and the nearest discounters are only two minutes by car towards Munich. You can take care of shopping easily and comfortably on the way home.